On Tuesday, September 11, 2018, The Woodlands Township and the Township Board of Directors hosted a Patriot Day of Remembrance Ceremony. The community was invited to attend the event from 7:30 to 8 a.m. at Central Fire Station located at 9951 Grogan’s Mill Road, The Woodlands, TX 77380. 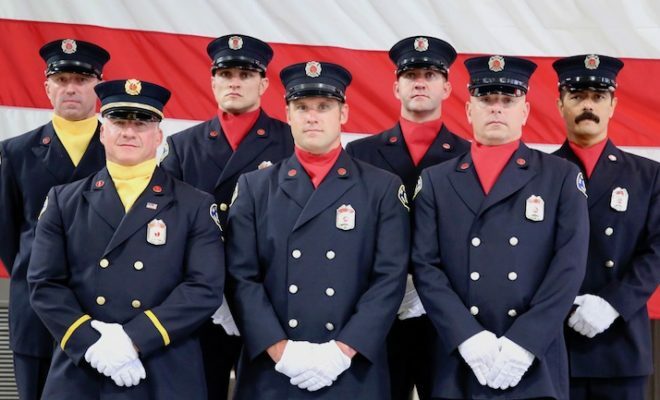 The ceremony included a Presentation of Colors by The Woodlands Fire Department Honor Guard along with a reading of The Fireman’s Prayer and The Ringing of the Bell in honor of fallen firefighters. The event will also pay tribute to those who lost their lives during the terrorist attacks on September 11, 2001. Gordy Bunch, Chairman of The Woodlands Township’s Board of Directors, and Congressman Kevin Brady each shared a special message in honor of the fallen and in recognition of our first responders. The First Responders Day Ceremony in The Woodlands will be held from 5:30 to 6:30 p.m. at Town Green Park, 2099 Lake Robbins Drive, The Woodlands, TX 77380. The Woodlands Township will honor and thank first responders with a community gathering featuring a Presentation of Colors by the Montgomery County Sheriff’s Office Honor Guard, speakers and more.